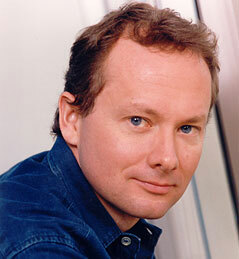 Michael Colleary is a graduate of the UCLA masters screenwriting program, and now one of its most popular professors. He has been a professional screenwriter and film producer for more than 20 years. A frequent collaborator with fellow UCLA alumni Mike Werb, his feature film credits include Face/Off which The New York Times named one of the best 1,000 movies ever made, and Lara Croft: Tomb Raider. In 2007, with Mike Werb and UCLA alum Claire-Dee Lim, Colleary co-wrote and produced the family film Firehouse Dog which has won multiple awards from family advocacy groups. He also recently wrote for the Cartoon Network live-action series Unnatural History. In 1995 Michael was invited to return to UCLA as a visiting instructor to teach in the Professional Screenwriting Program and in the Masters Program. In 2002 UCLA honored him with the Lew and Pamela Hunter/Jon and Janice Zakin Chair in Screenwriting. Michael and his siblings also sponsor the Bridget and Bob Colleary Award for screenwriting excellence which is presented annually to a deserving UCLA writing student. Michael got his start in Hollywood by becoming obsessed with movies – read on to see how your obsessions can also lead you to a successful Hollywood career. Read the Q&A with Michael here. « Do you stereotype your screenwriting characters?